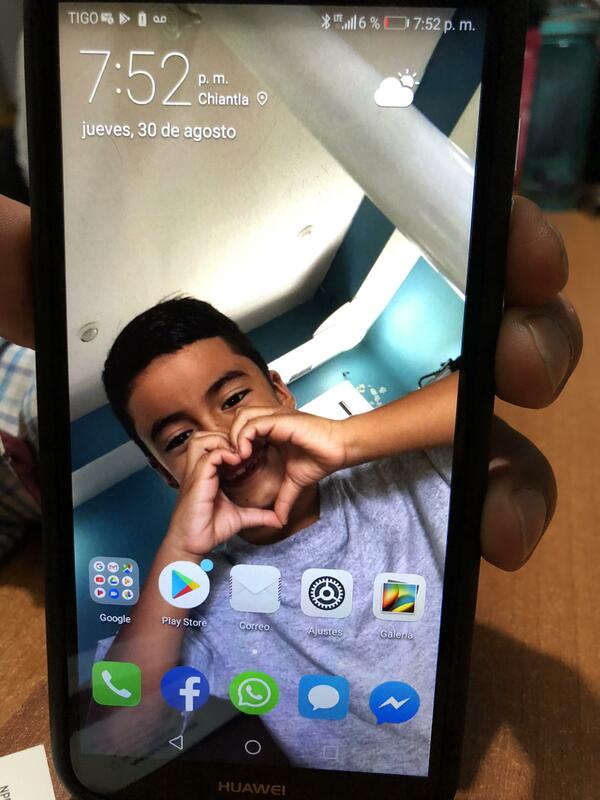 Juan Valiente Velazquez's phone shows a picture of his son, Derickson, who remains in a youth shelter in New York. They were separated by the Border Patrol in Texas in May. Velazquez was deported to Guatemala. Derickson calls his parents three times each week. The highlands of Huehuetenango, Guatemala, home to Juan Valiente, a Guatemalan father who has been separated from his 8-year-old son for three months. Juan Valiente Velazquez, who has been separated from his son for more than three months now. 8-year-old Derickson is being held at a shelter in New York. "I can't remember a time when we had to go out in the field and find our class members all over the world. This is a highly unusual situation," he says, as Mayan shoeshine boys and peanut vendors watch curiously. "I never expected to be in Guatemala looking for parents." But 304 parents have already been deported and remain outside of the U.S., their children left behind. The majority — three-fourths --- are in Guatemala. "They are facing a profound decision of whether to have their child be brought back to them in this country, or leave their child in the U.S. for the child to independently pursue asylum," Gelernt says, "and that's a decision I would not wish on any parent." But 80 parents have not been found. The hunt is imperative. Judge Sabraw warned, "For every parent who is not located there will be a permanently orphaned child." Lesly Tayes is a Guatemalan human rights lawyer with Justice in Motion, one of several advocacy groups that is working with the ACLU to find and contact deported parents. "Their communities are far away and hard to reach. Some don't even have roads, only trails. It's very time consuming," she says. "There's no phone signal in some of these remote villages so we can't call the families ahead." "They have no idea they can get their kids back," she continues. "They haven't talked with a public official or a social worker." As hard as it is to believe, some of the parents whose children are thousands of miles away don't want to be found. "A stranger comes knocking on the door asking for their whole story — it's difficult," Tayes says ruefully. "They are afraid because they owe money (for their journey north). Often they are under (extortion) threat. They are very poor and every case is different. It's a complex situation." Lee Gelernt says he's in intense negotiations with the federal government about letting some deported parents return. ICE officials maintain that all the adults agreed to leave voluntarily. But Gelernt says some parents never got an asylum hearing. "We believe they were coerced or misled or outright confused about what they were signing and what they were giving up," he says. "I told ICE, 'I don't want to go back to my country. All I want is to have refuge in the United States.' But I didn't get that opportunity. They told me, 'You've already been to court. You have to go back now.'" Valiente wants to try once again to apply for asylum in the United States. He says he lives in fear because his family is being extorted by thugs who have threatened to behead him if he doesn't pay them $30,000. In spite of this, he and his wife are adamant — they want their son Derickson home in Guatemala as soon as possible. The father says his son has been in a youth shelter in New York for more than three months and there's still no return date. And the parents are in agony. Derickson calls home three times a week from the New York shelter. He recently left a message on his dad's cell phone: "Mami, Papi, I love you very much. I'm sending you lots of hugs and kisses. Good night and many kisses." The American Civil Liberties Union and human rights activists are fanning out across Guatemala. They're looking for dozens of parents who were deported from the U.S. without their children, who remain here in government custody. The challenge is huge. The searchers face long distances to remote villages, torturous geography and no cellphone signals. 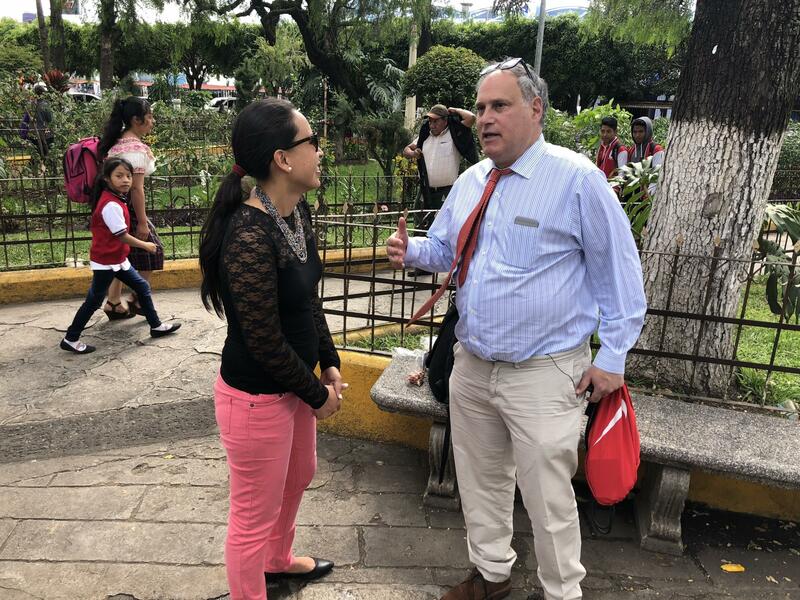 NPR's John Burnett is in Guatemala with our story on this quest to reunite the parents with their children. JOHN BURNETT, BYLINE: A rumpled New York lawyer in khakis and a pin-striped shirt is standing incongruously in the shaded Plaza Central of Chimaltenango, Guatemala, with a cellphone glued to his cheek. Mayan shoeshine boys and peanut sellers watch curiously. Lee Gelernt, a senior lawyer with the ACLU, is a long way from the San Diego federal courthouse where he's been wrestling with the U.S. government for much of the summer. This week, he came down here to join the daunting search for the deported parents. LEE GELERNT: I can't remember a time when we've had to go out in the field and actually find our class members all over the world. So this is a highly unusual situation. BURNETT: In June, Gelernt convinced a federal judge to order the government to reunite all 2,600 kids who were separated from adults who crossed the southwest border illegally. Last week, Health and Human Services said it has already released nearly 2,000 of the children to their parents, and the reunion process for the rest continues. GELERNT: I never expected that I would be here in Guatemala looking for parents. At every turn it's been an eye-opener. BURNETT: Three hundred and twenty-two parents remain outside the U.S. The majority are here in Guatemala. A posse of lawyers and advocates is now scouring the volcanic highlands of this northernmost Central American nation to meet the parents, explain them their rights and present them with a wrenching choice. GELERNT: They're facing just a profound decision of whether to have their child be brought back to them in this country or to leave their child in the U.S. for the child to independently pursue asylum. And that's a decision I would not wish on any parent. BURNETT: So far, most of the deported parents here in Guatemala have been reachable by cell phone. The ACLU got the numbers from Immigration and Customs Enforcement, which processed and deported them. But 80 parents have not been found. BURNETT: "Their communities are far away and hard to reach. Some don't even have roads, only trails. It's very time-consuming. 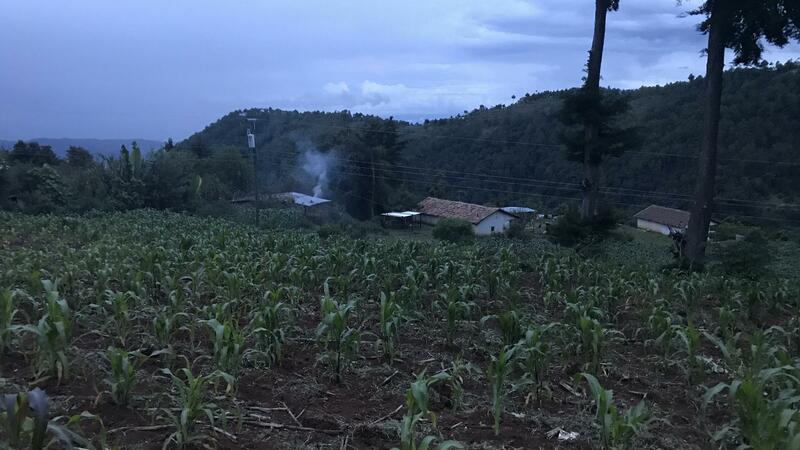 There's no phone signal in some of these remote villages, so we can't call the families ahead," says Lesly Tayes, a Guatemalan human rights lawyer with Justice in Motion. That's an advocacy group working with the ACLU. BURNETT: "They have no idea they can get their kids back," Tayes continues. "They haven't talked with a public official or a social worker, and some are afraid when a stranger comes knocking on the door." Tayes says many were fleeing criminal gangs in their towns. She says it's a complex situation. BURNETT: Lee Gelernt says he's in intense negotiations with the government about letting some deported parents return. Immigration officials maintain that all the adults agreed to leave voluntarily, but Gelernt says some parents never got an asylum hearing. GELERNT: We believe were coerced or misled or just outright confused about what they were signing and what they were giving up. And so those are the parents that we are going to focus on while I'm here. BURNETT: One of those is Juan Valiente Velazquez. He says he and his 7-year-old son, Derickson, left their village of San Jose Las Flores in May fleeing an extortion threat. The Border Patrol arrested him at the Rio Grande and took away his son. He said he signed voluntary departure papers because agents warned him he could be in jail for a year and a half separated from his son if he insisted on asking for asylum. JUAN VALIENTE VELAZQUEZ: (Speaking Spanish). BURNETT: "I told ICE I don't want to go back to my country. All I want is to have refuge in the United States," Valiente said. "But I didn't get that opportunity. They told me, you've already been to court; you have to go back now." 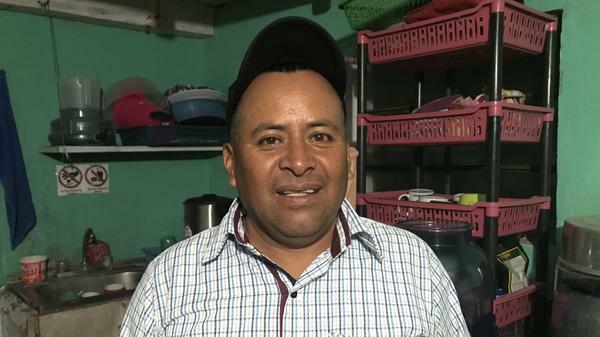 Juan Valiente wants another chance at asylum in the United States, but first he and his wife are adamant they want Derickson home in Guatemala ASAP. The father says his son has been in a youth shelter in New York for more than three months, but there's still no return date, and the parents are in agony. Derickson calls home three times a week. BURNETT: "I love you very much," he says in this phone message that his dad shared. "I'm sending you lots of hugs and kisses. Good night, and lots of kisses." SHAPIRO: And our correspondent John Burnett is on the line with us now from Antigua, Guatemala. John, what happens next in this effort to reunite parents and children? BURNETT: Well, as we said, there's been progress. ICE has already flown several dozen children home to their folks down here. They're not just in Guatemala. There are deported parents in El Salvador and Honduras and even a few in Brazil and Romania. The lawyers down here doing the searching say they have to find every one of them. Lee Gelernt told me the pace is picking up. He expects even more kids to return to their home countries in the coming weeks. And the search is intensifying for these last 80 families. SHAPIRO: For the immigrant children in custody, what happens if their parents cannot be found and the families can't be reunified? BURNETT: Well, the federal judge warned for every parent who's not located there will be a permanently orphaned child. The government says there are also nearly 500 kids who are, quote, "not eligible for reunion," most of them because their parents have some sort of criminal history. The ACLU is asking the court to force the government to be more reasonable. Some of the parents do have serious felonies that should alert the authorities, but the ACLU says many of these criminal cases are nonviolent like theft or DUI that happened years ago and that should not prevent the U.S. government from reuniting these families either in the States or back home in the mountains of Guatemala. SHAPIRO: That's NPR's John Burnett speaking with us from Guatemala. Thanks, John, for all of your reporting on this. BURNETT: You're welcome, Ari. Transcript provided by NPR, Copyright NPR.